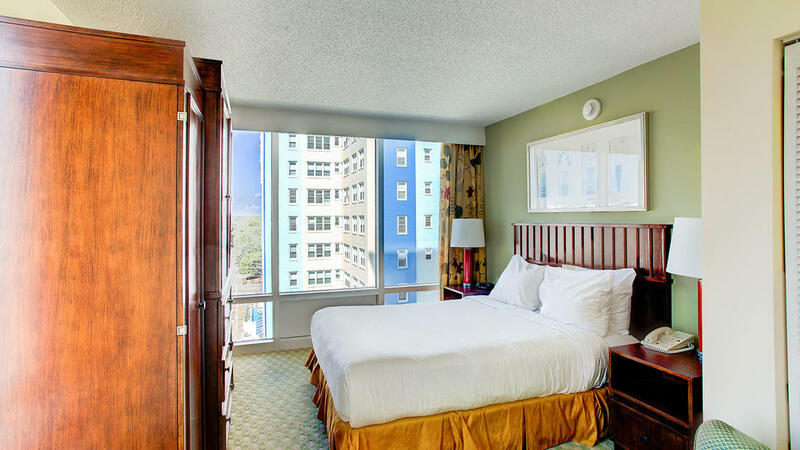 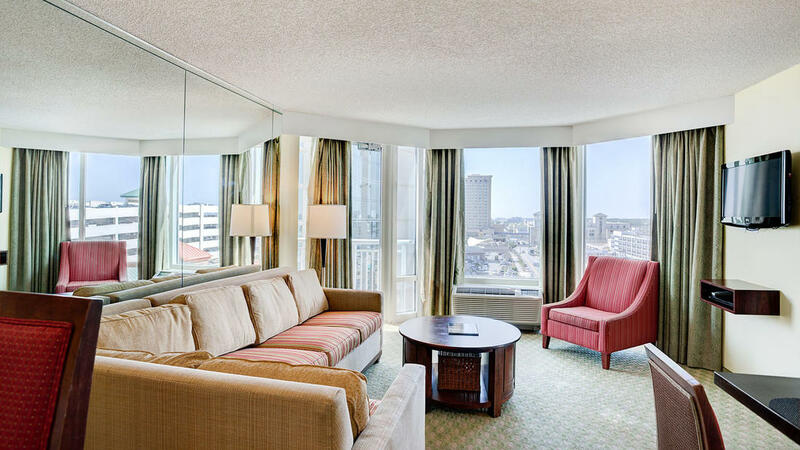 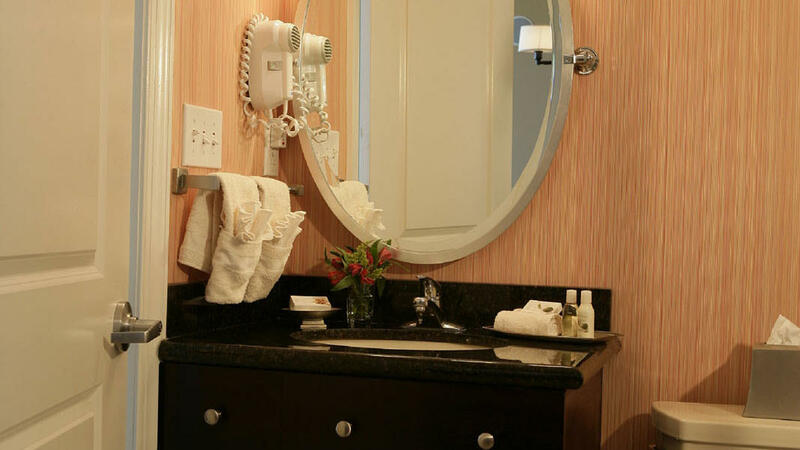 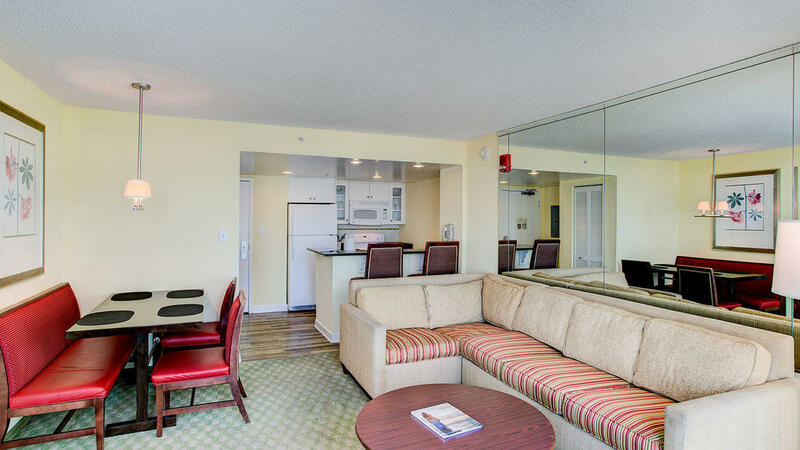 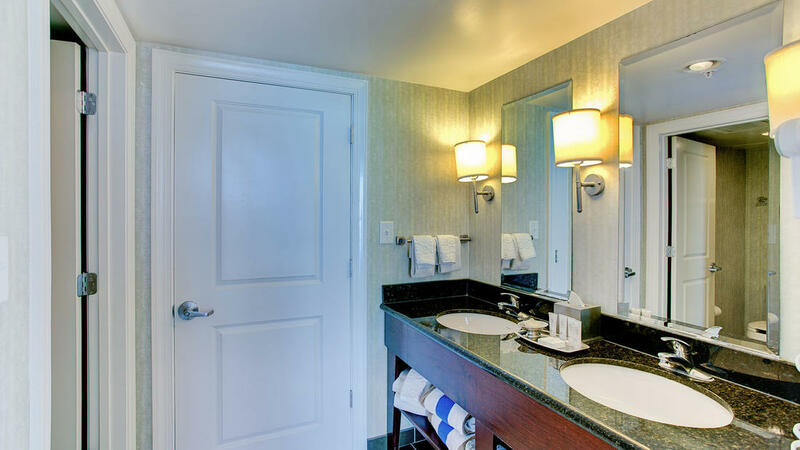 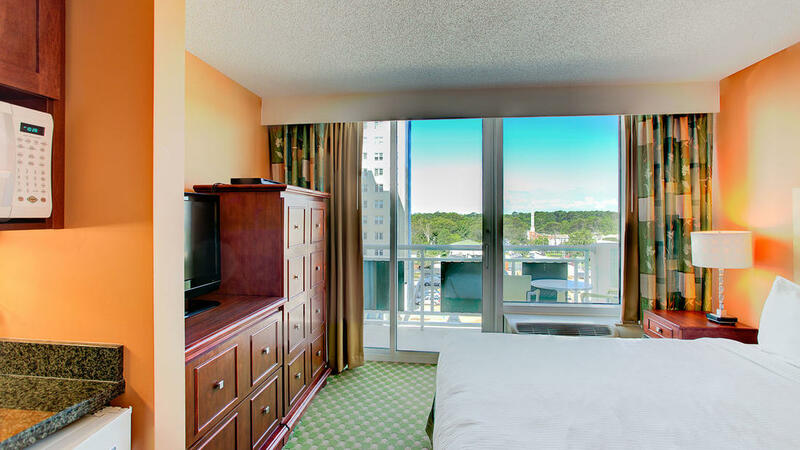 Our two bedroom suite exudes spacious comfort and creates the perfect haven amid the coastal beauty of Virginia Beach. 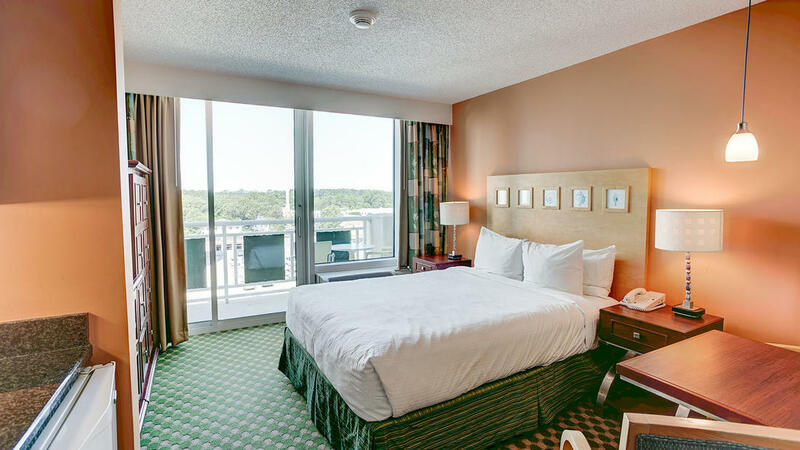 Families will enjoy the additional privacy of separate bedrooms, each featuring a plush, queen size bed and separate bathrooms. 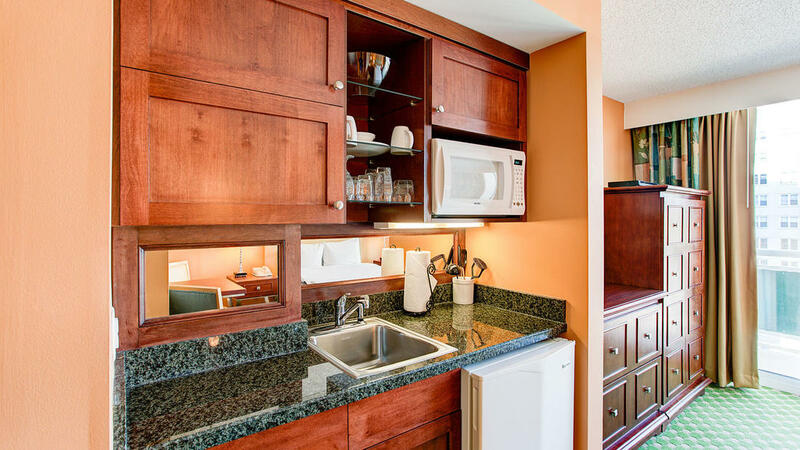 Spend a leisurely morning with a hot cup of freshly brewed coffee, or get an early start to another exciting day. 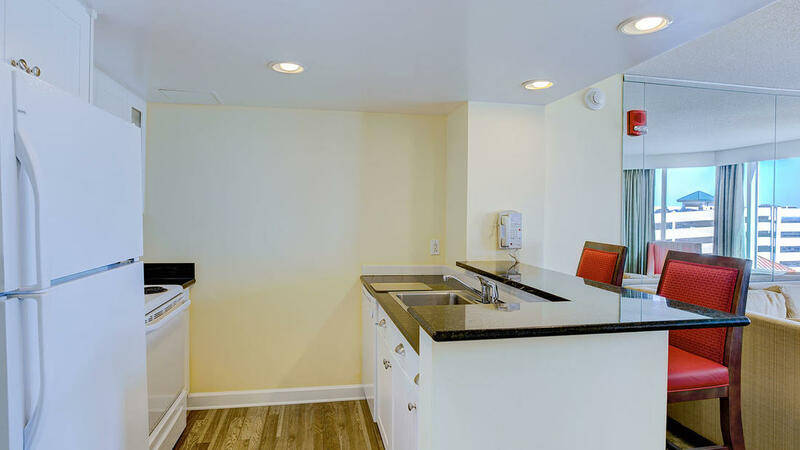 At the end of each adventure-filled day, gather the family together to enjoy your favorite movie or whip up a quick snack in your fully-equipped kitchen, which includes a dining table to fit six. 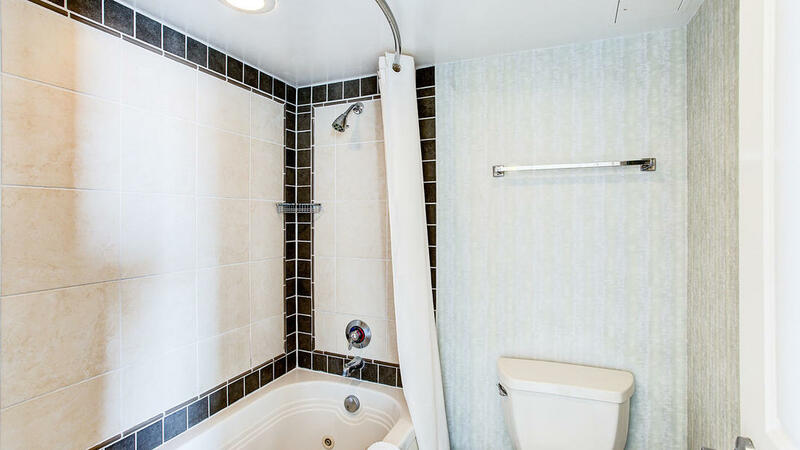 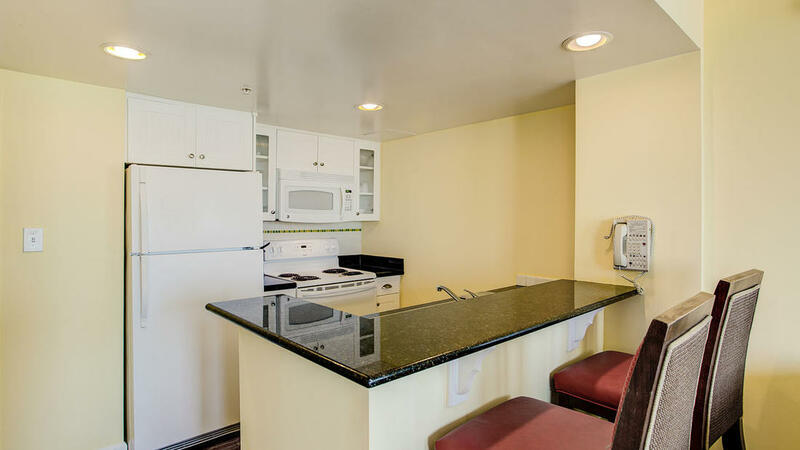 This suite accommodates up to six people and also features a 32” cable TV in each bedroom, a 42” plasma TV and DVD player in the living room, and a kitchenette featuring a mini refrigerator, microwave and coffeemaker.